Metarhizium is an entomopathogenic fungal genus relevant in biological protection. A new species of the genus, collected from Taibao mountain, Baoshan City, Yunnan Province, southwestern China, was described here as Metarhizium baoshanense. It was proposed and determined based on morphological characters combined with a multigene phylogenetics analysis involving 5.8S–ITS, nrSSU, nrLSU, EF–1α, RPB1 and RPB2. In multilocus phylogeny, M. baoshanense was grouped as a sister clade to Metarhizium majus, Metarhizium guizhouense, Metarhizium lepidiotae and Metarhizium indigoticum, but conclusively separated from these allied species with high support value. Morphological character differentiated M. baoshanense from its relatives on that its conidial size was obviously smaller than M. majus and M. indigoticum, a little shorter than M. guizhouense and thicker than M. lepidiotae. Still the new species was characterized by that its colony colour became slightly shallow with culture time on PDA plates at 25°C, being grayish green at 12 d and turning gray black at 30 d of cultivation. ZC designed the study, performed experimental work and analyzed the data. LX performed the experiment, analyzed the data and wrote the manuscript. XY helped in DNA extraction and PCR. YZ helped in morphological evaluation. YY helped in paper writing. Metarhizium, Morphology character, Multigene phylogenetics, Taxonomy. Metarhizium is one of the ubiquitous anamorphic genera of entomopathogenic fungi (Driver et al., 2000). Entomophthoro anisopliae Metsch was described from Russia as a pathogen of wheat cockchafer (Anisolia austriaca Hbs.) and turned to be a type species of a new genus Metarhizium (Metsch.) Sorokin. Teleomorph of Metarhizium was ﬁrstly confirmed as Cordyceps s. l. by Liang et al. (1991) and then assigned to a new genus Metacordyceps by Sung et al. (2007). A high number of species and varieties of Metarhizium had been discovered in recent decades and their convergent morphologies hampered the taxonomic studies. Molecular evidence enabled great resolution of fungi taxonomy than allowed by morphology alone, and mutigene phylogenetic approaches particularly urged/forced the clarification of the genetic relationship at species rank (Kepler et al., 2012; Nonaka et al., 2013). Based on 4-gene (EF–1α, RPB1, RPB2 and β–tubulin) dataset, Bischoff et al. (2009) revealed that the Metarhizium anisopliae complex included 9 species. Based on 5–gene (nrSSU, nrLSU, EF–1α, RPB1 and RPB2) dataset, Kepler et al. (2012) identified that Metacordyceps contained 14 species and 1 varietas, and then Kepler et al. (2014) revised the boundaries of Metarhizium as including the majority of species recognized in Metacordyceps, green–spored species in Nomuraea, Chamaeleomyces and several species formerly in Paecilomyces. During a survey of entomogenous fungi at Taibao mountain in Baoshan City, Yunnan Province, China in 2015, a new Metarhizium species, M. baoshanense was discovered. The objective of this study was to confirm its taxonomy position based on morphological characteristics and 6–locus phylogenetic analysis. The anamorph of the related species, M. indigoticum (Kobayasi & Shimizu) Kepler, S.A. Rehner & Humber, was firstly described. Soil specimens were collected from plant rhizosphere at mid–montane of humid evergreen broad–leaved forest in Taibao Mountain, Baoshan city, Yunnan Province in China. Fungi were isolated from soil by insect baiting method according to Keyser et al. (2015). Soil samples (~100 mL) were moistened to slightly damp in sterile glass canned bottles (150 mL). Ten healthy 6–7th instar Tenebrio molitor L. larvae were cultured in each bottle and checked every two days. Dead insects were transferred to a sterile petri dish with moist filter paper and maintained at 25°C for about 10 d. Metarhizium conidia were transferred to PDA plates and cultured at 25°C. Pure (axenic) strains were indentified morphologically and evaluated microscopically under a motic BA410 microscope. Morphological characteristics of the new species were compared with its related species among M. anisopliae complex. Anamorphic strains of the related species, M. indigoticum, were isolated from Gaoligong mountains and morphologically described. Genomic DNA was extracted from mycelia and conidia with the Plant Genomic DNA Purification Kit (Qiagen) following the manufacturer instructions. The partial sequences of 6 nuclear loci, including 5.8S–ITS, nrSSU, nrLSU, EF–1α, RPB1 and RPB2, were amplified. Primer pairs of the 6–locus were referred to Chen et al. (2013). PCR reactions were carried out in 20 μL reaction mixture containing 10 μL 2×EasyTaq PCR Supermix (TransGen Biotech, Beijing, China), 1 μL of each primer (10 µM), 1 μL of template DNA (1–2 ng) and 7μL sterile water. PCR programs of ITS–5.8S, nrSSU and nrLSU were referred to Chen et al. (2013) and that of EF–1α, RPB1 and RPB2 were referred to Bischoff et al. (2006). PCR products were purified with Gel Purification Kit (Bioteke, Beijing, China) and the fragments were cloned with TaKaRa PMDTM18–T vector system (TaKaRa Bio, Dalian, China). DNA sequencing was performed at SinoGenoMax Co. Ltd., and the resulting datasets were submitted to GenBank. DNA sequences of 6–locus included 34 species, M. baoshanense, all dataset (30 species) in Metarhizium used by Kepler et al. (2014), Metarhizium martialis (Speg.) Kepler, G.H. Sung & Spatafora used by Kepler et al. (2012), Metarhizium shibinensis T.C. Wen, J.C. Kang & K.D. Hyde used by Wen et al. (2015) and Beauveria bassiana (Bals.) Vuill. as the outgroup. All sequences were retrieved from the GenBank with accession number detailed in Table I. The combined dataset of 6–locus were aligned with Clustal X2.0 (Larkin et al., 2007). Ambiguous regions in both sides were excluded and gaps were treated as missing data in the subsequent phylogenetic analyses. Phylogenic consensus tree was analyzed with the program MEGA6 (Tamura et al., 2013). Maximum Likelihood (ML) estimation was performed with 1000 replicates. T92+G+I (Tamura 3–parameter + Gamma distribution (+G) with invariant sites (+I) nucleotide substitution model was taken as suggested by looking for a best–fit substitution model (ML). Clades supported with ML values of ≥70% were considered significantly supported by the data. Table I.- Taxon information and GenBank accession numbers of the sequences used for phylogenetic analysis. BLAST analysis revealed that 6 genes of M. baoshanense respectively shared sequences identities with different species of Metarhizium and Metacordyceps, ITS 98% with M. anisopliae M3419 (FJ609313.1), EF–1α 99% with M. majus ARSEF 7505 (EU248870.1), RPB1 99% with M. indigoticum NBRC 100684 (KJ398595.1), RPB2 99% with Metacordyceps brittlebankisoides (KC429019.1), nrLSU and nrSSU 98% with Metacordyceps indigotica TNS–F 18554 (JF415953.1). It was hard to determine the species position with a single gene. Further multilocus analysis was employed to confirm the species taxonomic status. The combined alignment of 6–locus dataset of Metarhizium comprised 5049 base pairs (5.8S–ITS: 717 bp; nrSSU: 1018 bp; nrLSU: 846 bp; EF–1α: 917 bp; RPB1: 713 bp; RPB2: 838 bp). Phylogenetic tree of combined 6–locus for 34 species revealed similar affiliation inferred from 5 nuclear loci by Kepler et al. (2014) (Fig. 1). M. baoshanense was clustered in M. anisopliae complex which contained 11 individuals. The 3 strains (CCTCC M 2016589, BUM 63.4 and BUM 1700) of M. baoshanense were clustered in the same clade with M. majus, M. indigoticum, M. guizhouense Q.T. Chen & H.L. Guo and M. lepidiotae (Driver & Milner) J.F. Bisch., Rehner & Humber, but formed a distinct clade and was clearly separated from the allied species with high support value. The position of the strains BUM 2600 and BUM 1512.8 isolated from Gaoligong mountains was also confirmed. Their 6–locus dataset was clustered in the same clade with the reported sequences (TNS–F18553 and NBRC 100684) of M. indigoticum, illustrating that they were the anamorph stage of M. indigoticum and their morphological data in this study was credible. M. baoshanense was obviously distinguished from M. majus and M. indigoticum for the conidial feature, M. majus possessing the biggest conidia (8.5–13.0×3.0–5.0 µm) in M. anisopliae complex and M. indigoticum (8.2–12.3×2.6–4.2 µm) being next to it, much greater than M. baoshanense (6.7–8.5×2.6–3.3 µm) (Table II). The conidia of M. baoshanense were close to M. lepidiotae (6.0–7.5×2.0–3.0 µm) for the length and a little shorter than M. guizhouense (7.0–10.0×2.0–3.0 µm), while being a little thicker than M. guizhouense and M. lepidiotae (Table II; Fig. 2I-L). Table II.- Morphological characterscomparison among Metarhiziumanisopliae complex. The culture character was further conducted among M. baoshanense, M. lepidiotae, M. guizhouense and M. indigoticum (Fig. 2 A-D). The conidia layers of all the four species were white in early day, while showed apparent discrepancy with culture time. After 12 d of cultivation on PDA plates at 25°C, M. baoshanense was grayish green (Fig. 2A), M. guizhouense was blackish green (Fig. 2B), M. lepidiotae was light black (Fig. 2C) and M. indigoticum was dark black (Fig. 2D). After one month of cultivation, M. baoshanense and M. lepidiotae were gray black, M. guizhouense was dark green, and M. indigoticum was black. The new species is clustered with M. guizhouense, M. lepidiotae, M. majus and M. indigoticum in the same clade in the multiple gene (5.8S–ITS, nrSSU, nrLSU, EF–1α, RPB1 and RPB2) sequence analyses, but the conidial size of M. baoshanense was obviously smaller than M. majus and M. indigoticum, a little shorter than M. guizhouense and thicker than M. lepidiotae. Colonies on PDA medium being 61 mm in diameter after 16 d at 25 °C, white at first, turning grayish green after 16 d of cultivation. Hyphae hyaline, septate, branched, smooth–walled, 2.0–3.2 ( = 2.5±0.6) µm wide. Conidiophores solitary or branched. Phialides cylindrical, 8.2–19.2 × 2.1–3.5 ( = 11.9±3.3 × 2.5±0.4) µm. Conidia forming columns in culture and hyaline, aseptate, smooth, long oval or cylindrical, grayish green en masse, 6.7–8.5 × 2.6–3.3 ( = 7.4±0.5 × 2.9±0.3) µm. Habitat and distribution: The soil at mid–montane of humid evergreen broad–leaved forest in Taibao mountain, Baoshan city, Yunnan Province, China. Most species in Metarhizium are useful biological control agents and often act as regulators of insect populations (Kepler et al., 2014; Pattemore et al., 2014; Shoukat et al., 2018). Further understanding their diversity can provide new genetic resource for development the entomopathogen as a biopesticide. 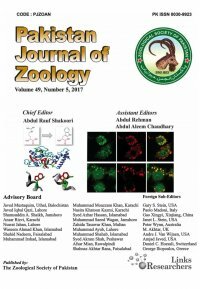 In this study, M. baoshanense was determined to be a new species in Metarhizium based on morphological study and molecular evidence. Muti–locus phylogeny is routinely used to delimit species of Ascomycota (Wang et al., 2015). Six loci including 5.8S-ITS, nrSSU, nrLSU, EF-1α, RPB1 and RPB2 were performed analysis in this study for their wide usage in phylogenetic reconstructions of fungi (Kepler et al., 2012; Sanjuan et al., 2014; Wen et al., 2015). Multi-genes analyses involved almost all currently recognized species of Metarhizium and the resulted affiliation was consistent with the works of Kepler et al. (2014), being able to provide strong evidence for the taxonomic status of M. baoshanense. The 2 strains BUM 2600 and BUM 1512.8 were placed as M. indigoticum and the 3 strains of M. baoshanense were resolved as a novel clade in M. anisopliae complex, clearly separated from its allied species, M. majus, M. guizhouense, M. lepidiotae and M. indigoticum. Cordyceps indigotica Kobayasi & Shimiz was firstly reported by Kobayasi and Shimizu (1978) and determined to be a member of Metacordyceps by Kepler et al. (2012). However, so far the asexual morphological description of M. indigoticum had been still missing. To better clarify the relationship of M. baoshanense and its related species, 2 strains from Gaoligong Mountains were confirmed as M. indigoticum by molecular analysis and morphologically compared with M. baoshanense (Table II). The conidial size of M. baoshanense was obviously smaller than M. majus and M. indigoticum, a little shorter than M. guizhouense, and a little thicker than Metarhizium lepidiotae. The colony color could well clarify the interspecific relationship, that of M. baoshanense being grayish green, obviously shallow than M. lepidiotae, M. guizhouense and M. indigoticum after 12 d of cultivation on PDA plates at 25 °C. In this study, a new species of Metarhizium, M. baoshanense was determined based on morphological characters and 6-locus (5.8S–ITS, nrSSU, nrLSU, EF–1α, RPB1 and RPB2) molecular data. M. baoshanense was obviously separated from its sister species, M. majus, M. guizhouense, M. lepidiotae and M. indigoticum in phylogenetic tree and was also clearly morphologically distinguished from its relatives. The authors wish to thank Dr. Yong–Dong Dai (Institute of Herbal Biotic Resources, Yunnan University, Yunnan, China) for his kindly help to analyse the multigene sequences. This work was funded by the National Natural Science Area Fund Projects of China (31460153), Key Project of Universities Joint Foundation in Yunnan province (2017FH001-126), Surface Project of Universities Joint Foundation OF Yunnan province (2017FH001-029). The authors declare no conflicts of interest. All the experiments undertaken in this study comply with the current laws of the country where they were performed. Kobayasi, Y. and Shimizu, D., 1978. Cordyceps species from Japan. Bull. natl. Sci. Mus., Tokyo Ser. B, 4: 43-63. Liang, Z.Q., Liu, A.Y. and Liu, J.L., 1991. A new species of the genus Cordyceps and its Metarhizium anamorph. Acta Mycol. Sin., 10: 257-262.